Since the earliest days of astronomy, since the time of Galileo, astronomers have shared a single goal — to see more, see farther, see deeper. 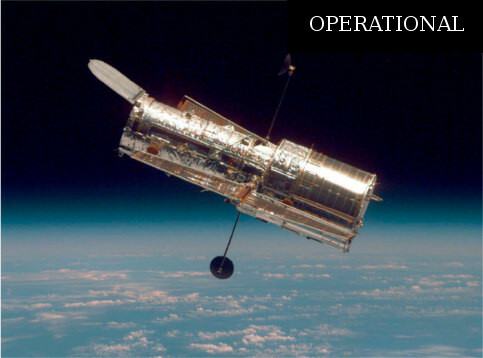 The Hubble Space Telescope"s launch in 1990 sped humanity to one of its greatest advances in that journey. Hubble is a telescope that orbits Earth. Its position above the atmosphere, which distorts and blocks the light that reaches our planet, gives it a view of the universe that typically far surpasses that of ground-based telescopes. Hubble is one of NASA"s most successful and long-lasting science missions. It has beamed hundreds of thousands of images back to Earth, shedding light on many of the great mysteries of astronomy. Its gaze has helped determine the age of the universe, the identity of quasars, and the existence of dark energy.